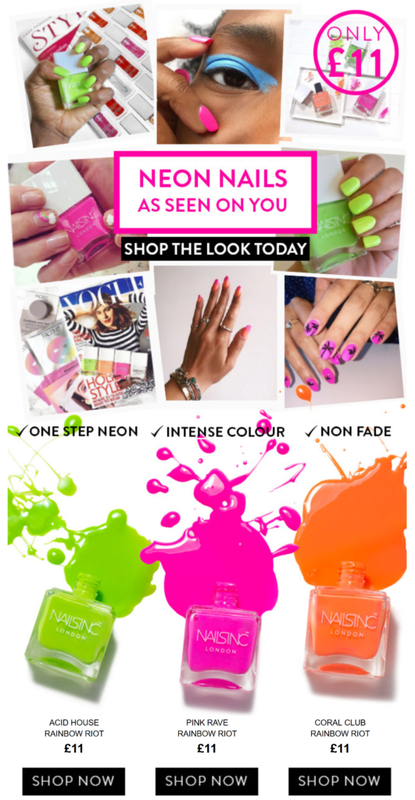 Check out these colourful neon nails, as seen on you! One step neon, with intense colour and non-fade finish. It’s not too late – up to 70% off Nails inc.
Next story The Chrome polish you’ve been waiting for from Nails inc.